Large flying Amphibian with a particularly flat body and flexible spine. This allows the Manderray to slide into cracks in a cliff face or other dark, damp place to rest and top up it’s skin moisture. 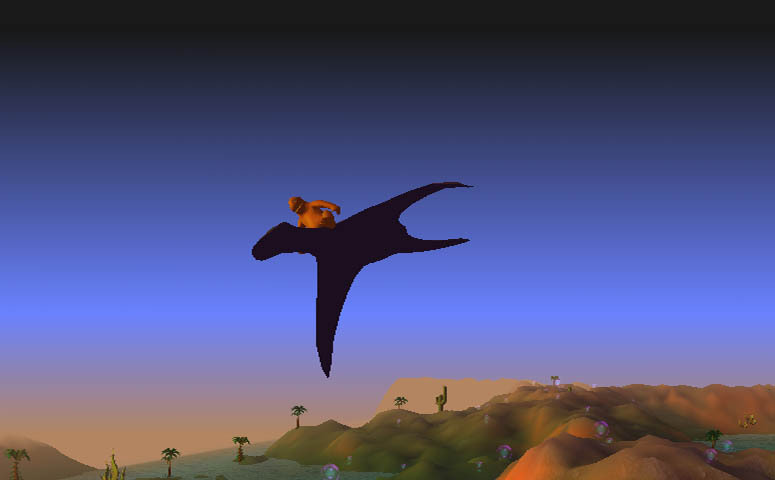 Manderrays will tend to fly close to the clouds so they can keep their skin moisture reasonably constant during flight. On dry days they will generally stay grounded and rest. The Manderray’s amiable nature means it will happily carry other non-predatory creatures and makes it a handy form of transport.